Woodside Road UMC is a Reconciling Congregation, which means we joyfully embrace God’s acceptance and love of all people. 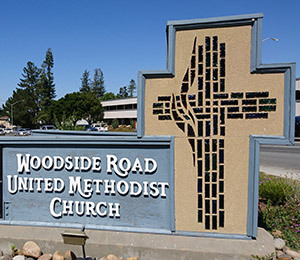 We are a Reconciling Congregation at the corner of Woodside Road and Alameda de las Pulgas in Redwood City. Our church office is open Monday, Wednesday, & Thursday 1:30-4:30pm and Friday 9am-noon. Worship is Sunday morning at 10:30am and runs for approximately 1 hour. Gathering music begins at 10:20am. Holy Communion is celebrated on the first Sunday of the month. Sunday school for preK-5th grade begins at 10:45am following the youth moment. 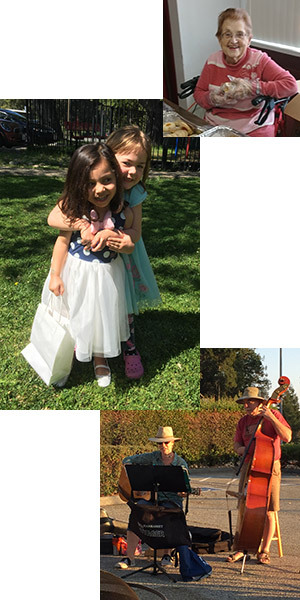 On the second Sunday of the month children remain in the worship service for a multi-generational service. Of course, children are always welcome in worship. Nursery care is offered for the youngest among us. United Methodist Youth Fellowship (UMYF) for middle school and high school students meets after worship on Sundays. Adult Spiritual Formation meets seasonally after worship.